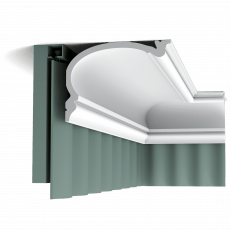 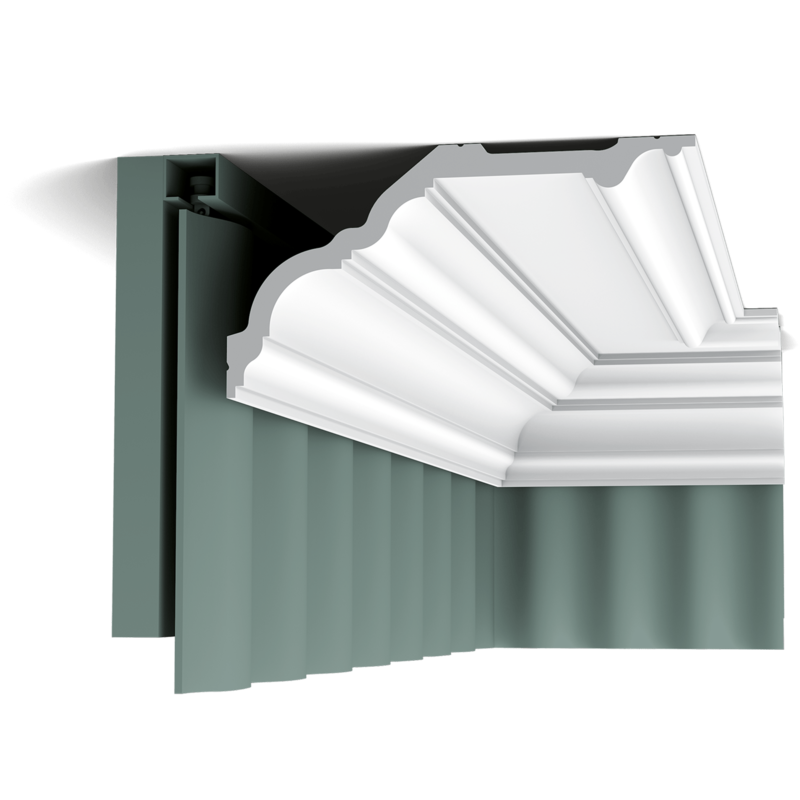 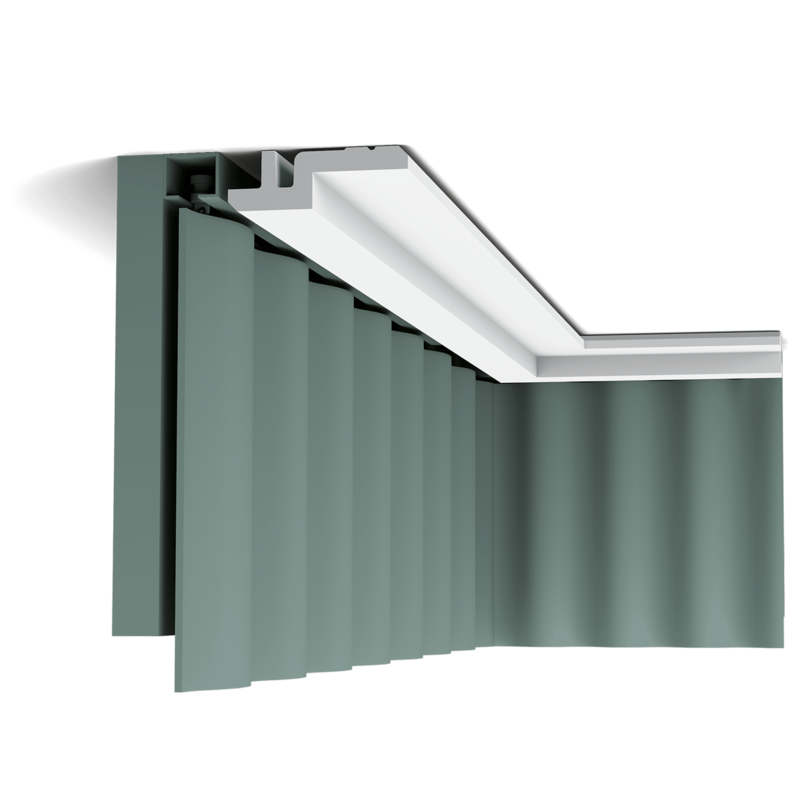 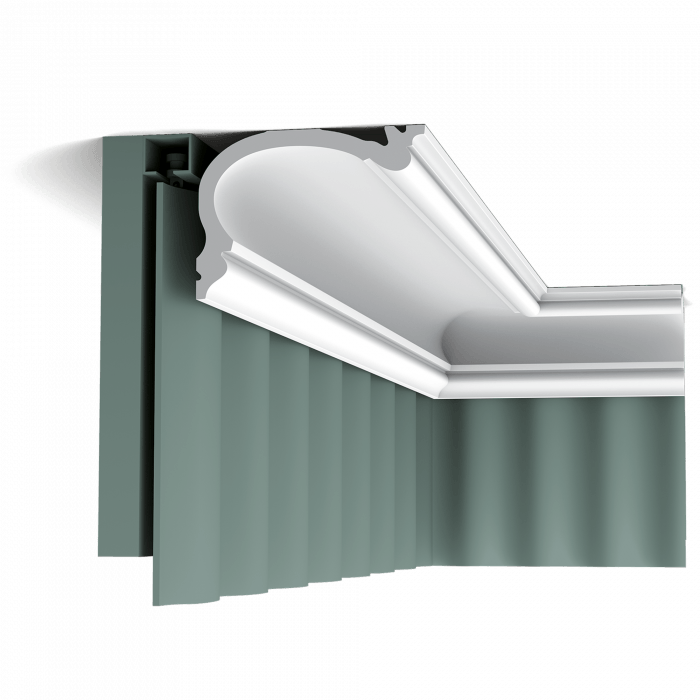 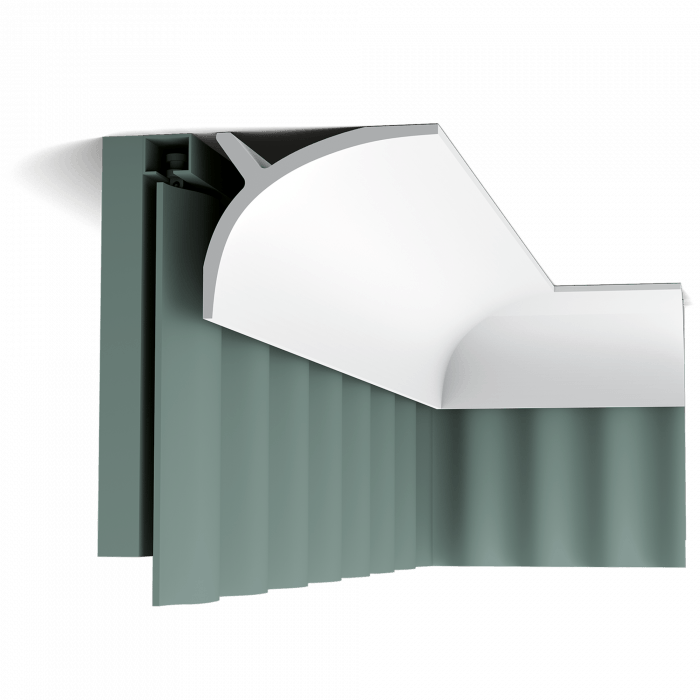 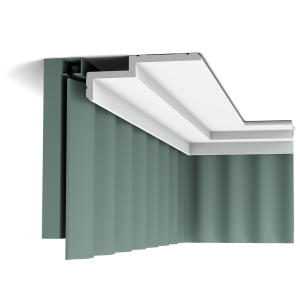 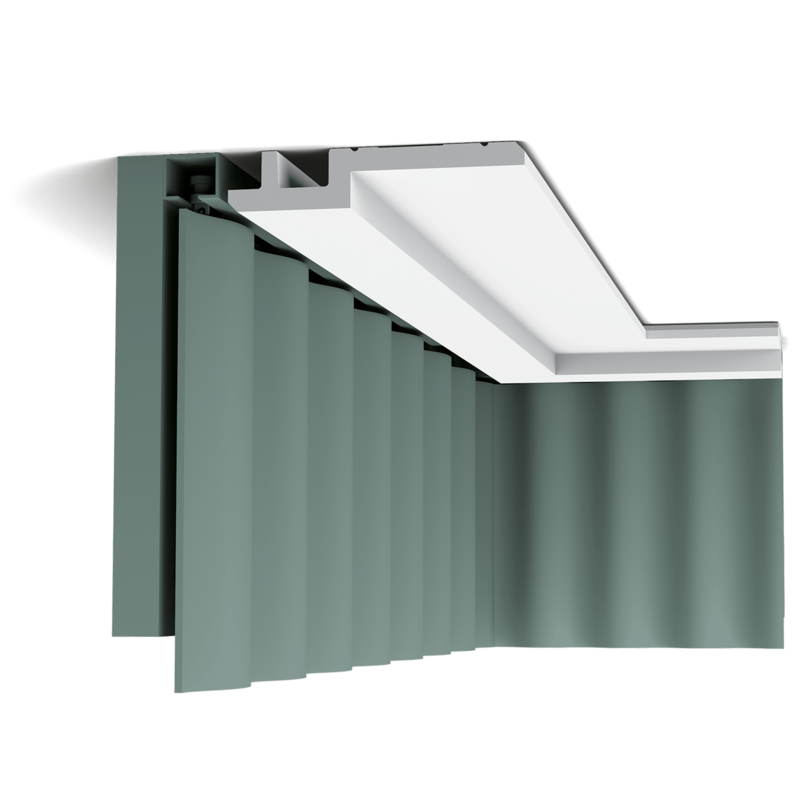 Curtain Profiles are designed to offer the option of hiding curtain mounting poles or rails behind the cornice. 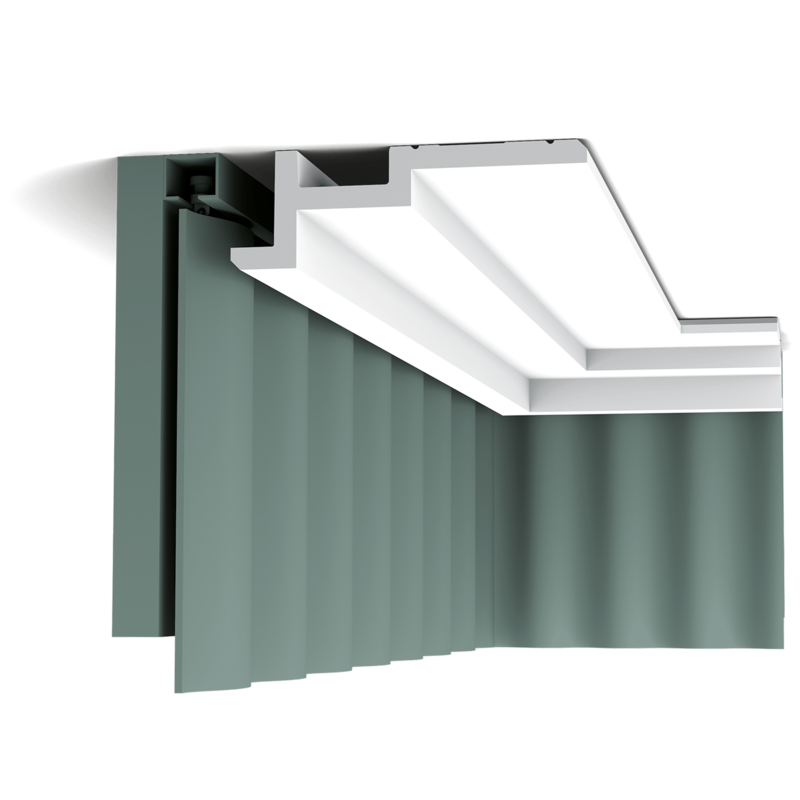 Thanks to the double ceiling contact point for extra fixing support, they easily achieve this goal without any extra mechanical installation (screws/nails). 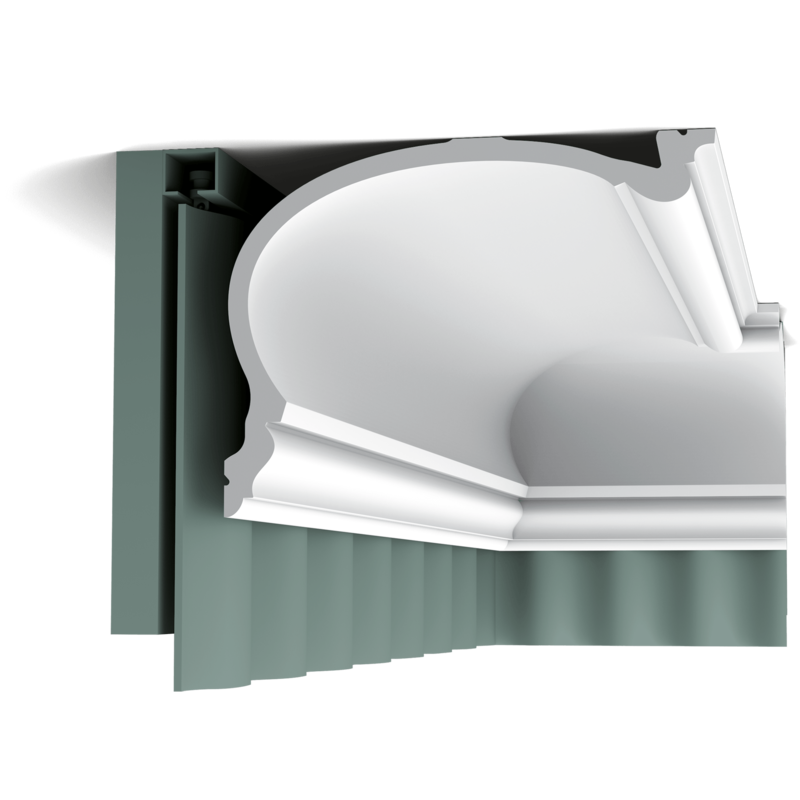 They add an elegant finish to both contemporary and classic interiors without the need to break the cornice line around the room.